Get purity of mind with the Nam-Myoho-Renge-Kyo chant as recorded by Tina Turner and friends. I had no idea before I started listening to healing music that Tina Turner recorded music other than rock and roll. What a fantastic surprise. And, this video is soothing and a gorgeous listen. I literally have it playing in the background for hours sometimes. Click on an image to see its source. Scroll down to view the video. “Nam-Myoho-Renge-Kyo” intends to eliminate the energy of all the negative decisions you make. As you repeat the words you find your life is more clear and easy to understand. When you chant it, you get closer and closer to your true nature which is a welcome relief for most people. NAM derives from the Sanskrit ‘names’ and means ‘devotion’. Place it before the name of all deities when you worship them. MYO is the name for the mystic nature of life and HO to its manifestation. RENGE means lotus flower. The beautiful and undefiled Lotus blooms in a muddy swamp with all the obstacles against it. It symbolizes the emergence of our Buddha nature from the everyday problems and desires of ordinary life. ‘Renge’ stands also for the simultaneity of cause and effect, because the lotus puts forth its flower and seedpod at the same time. KYO literally means sutra, the voice, and teaching of the Buddha. It also means sound rhythm or vibration and therefore it might be interpreted to indicate the practice of chanting. Since everything in the universe is connected through sound waves, ‘Kyo’ refers to the life activity of universal phenomena and indicates that everything is a manifestation of the Mystic Law. 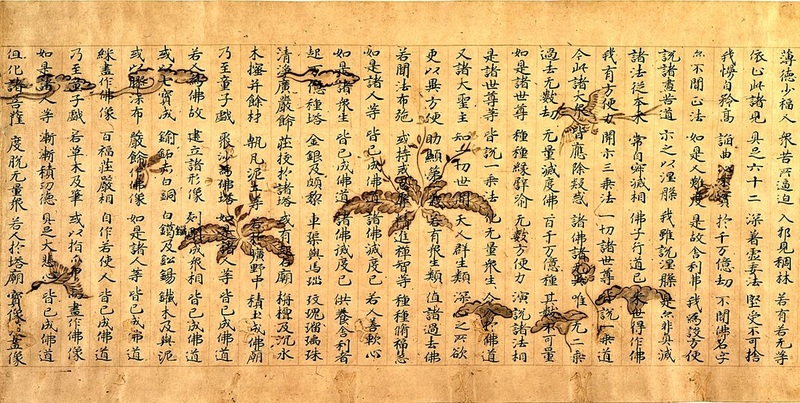 The meaning of the Lotus Sutra is ‘I devote my life to the Mystic Law of the Lotus Sutra’. It is the royal sutra of Nichiren Buddhism in Japan (1253). The route it comes from is India to China and then to Japan. The prayer translates from the Sanskrit word ‘Saddharma-pundarikasutra » first into classical Chinese as ‘Miao-fa Lien-hua Ching’ and then into an ancient form of Japanese as ‘Myoho Renge Kyo’. 🚩 Please note that I have no rights over this video whatsoever and it is for information and educational purposes only. *Tip o’ the Hat to Tina Turner on Youtube.